Making the decision to straighten your teeth is much easier when you know that Invisalign® treatment lets you live your life the way you want to. With Invisalign aligners, you don't need to worry about the gum and mouth irritation other teeth-straightening methods can cause. Invisalign aligner trays are not only smooth and comfortable to wear, but they're also removable. That means you can continue doing all the things you normally would, from brushing and flossing, to eating whatever you like. 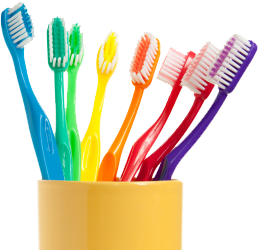 With other devices, brushing and flossing properly can often take up to 30 minutes! Special occasion coming up? No problem — just take your aligners out for that time and pop them back in when you're ready. Of course, even when you're wearing them, most people won't even know you're going through treatment, because they are virtually invisible!